Tek-Scan | Palo Alto, CA | Babak Mostaan, D.D.S. 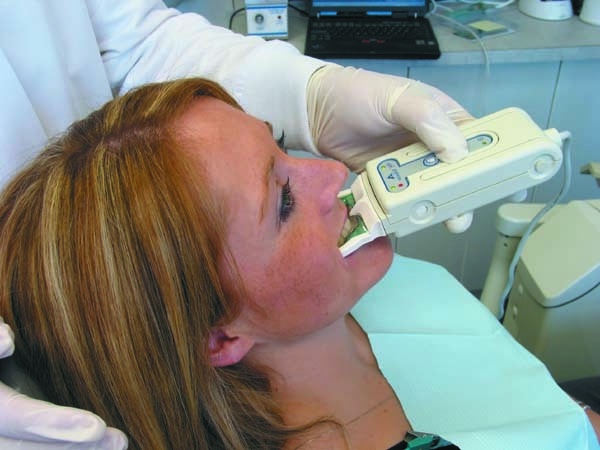 The T-Scan Occlusal Analysis System is a diagnostic device that helps us analyze and adjust your bite to help solve and prevent future issues. With a simple occlusal exam using T-Scan we can easily and painlessly determine and restore the balance of your bite. By simply biting on the thin sensor the device will show exactly how your bite is working. With this technology we can quickly find problem areas before you even leave the office. If you feel that your bite may be off, contact your dentist.